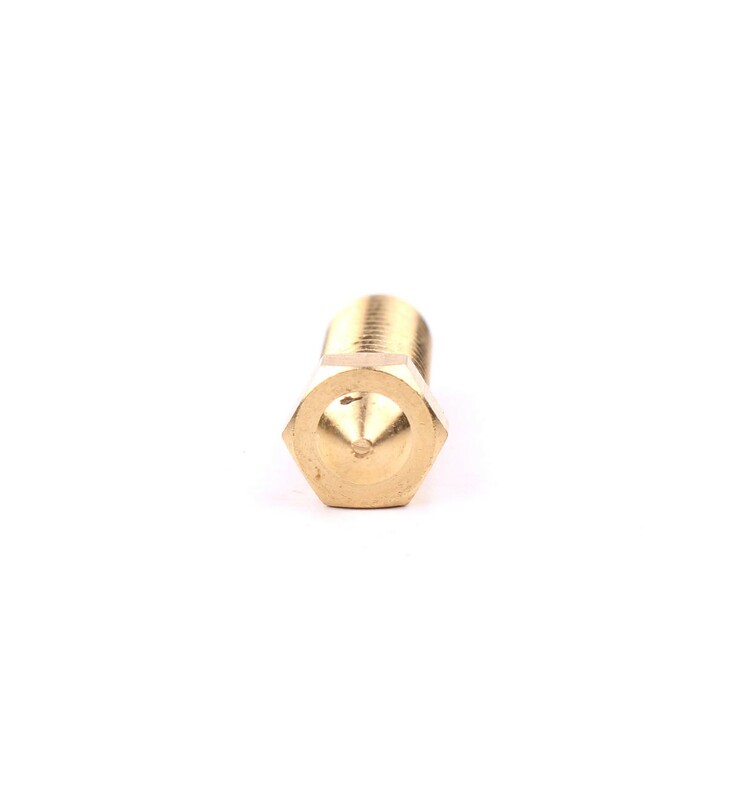 These 0.8mm E3D VMA Brass Nozzles are for 3mm Filament 3D printers, and are capable of melting filament at rapid rates due to the extended length. 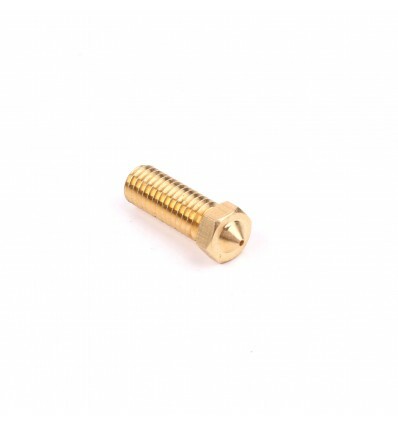 These 0.8mm E3D VMA Nozzles are designed for 3mm Filament, and are excellent general purpose, low-cost nozzles that are a favourite choice amongst many 3D Makers throughout the world. It made from brass, which offers a good balance of thermal conductivity and easy machining capabilities, with natural corrosion resistance to avoid pitting or unnecessary wear and tear. 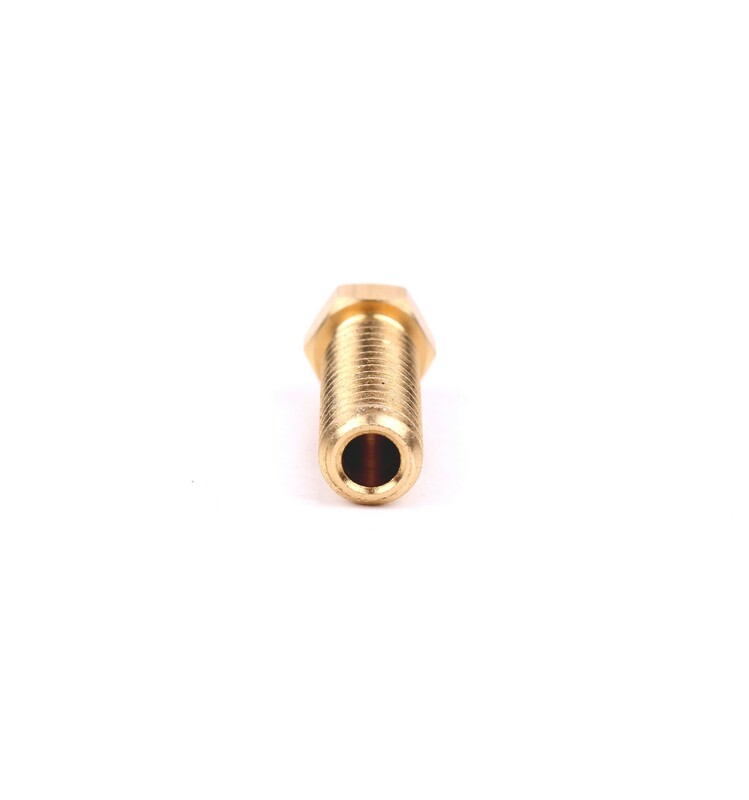 These nozzles are made to fit the E3D V6 Volcano Heater Blocks in E3D V6 VMA hotend assemblies, and are around 8.5mm longer than standard E3D Nozzles. As such, you may need to adjust your Z-Axis values to lift the extruder slightly higher than usual if you are changing to a VMA Nozzle, which will help you avoid nozzle crashes or bad layering while 3D Printing. The benefits that these nozzles offer include better print layer accuracy, as well as the ability to print at a much faster rate due to the larger nozzle output diameter. However, it’s important to bear in mind that brass nozzles are more susceptible to wear and tear than stainless steel, especially when printing with Exotic Filaments like metal-powder, glow in the dark, carbon-fibre filled and other unique polymers.